The Great Suspension Bridge between New York and Brooklyn, later named the Brooklyn Bridge. 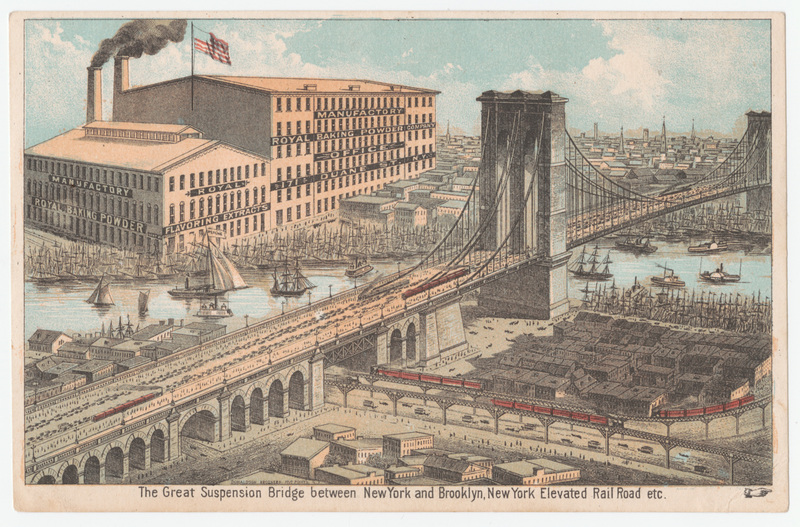 Full caption at bottom reads: The Great Suspension Bridge between New York and Brooklyn, New York Elevated Rail Road etc. Building is advertising "Manufactory Royal Baking Powder Company".